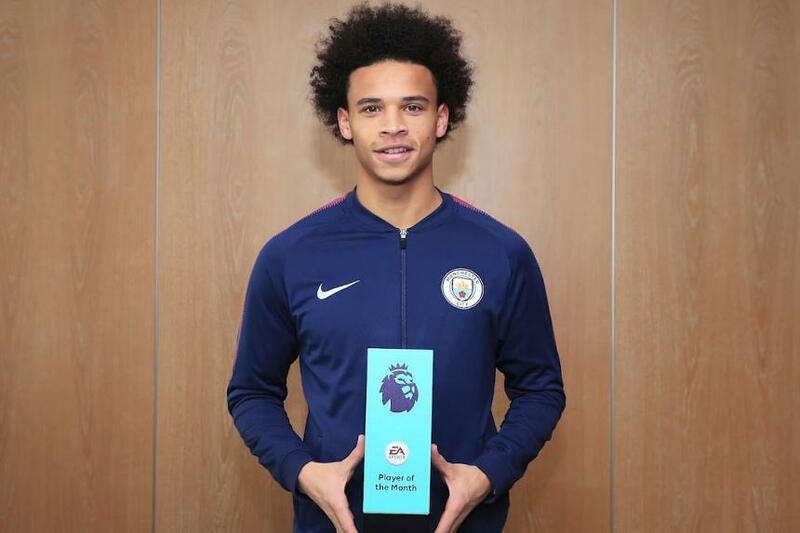 Leroy Sane's impressive displays in October have earned him the EA SPORTS Player of the Month award. The German winger scored and assisted in each of his side's three wins in October as Manchester City made their best start to a Premier League campaign, racking up 28 points from 10 matches. No player matched the 21-year-old's goal contribution of last month. He received the most combined votes from a panel of experts, Premier League captains and fans to claim the prize ahead of five other nominees. Man City's Kevin De Bruyne, Brighton & Hove Albion's Glenn Murray, Arsenal defender Nacho Monreal, Burnley goalkeeper Nick Pope and Wilfried Zaha, the Crystal Palace winger, completed the shortlist.